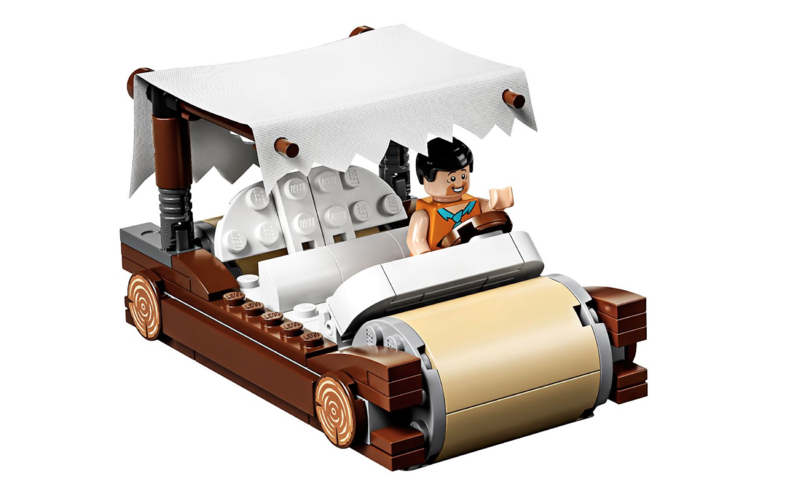 There's Flintstones Lego now so Yabba Dabba Dooooo! Now the classic has jumped from screen to Lego form, with a brilliant playset every Lego-loving person will adore. Yup! 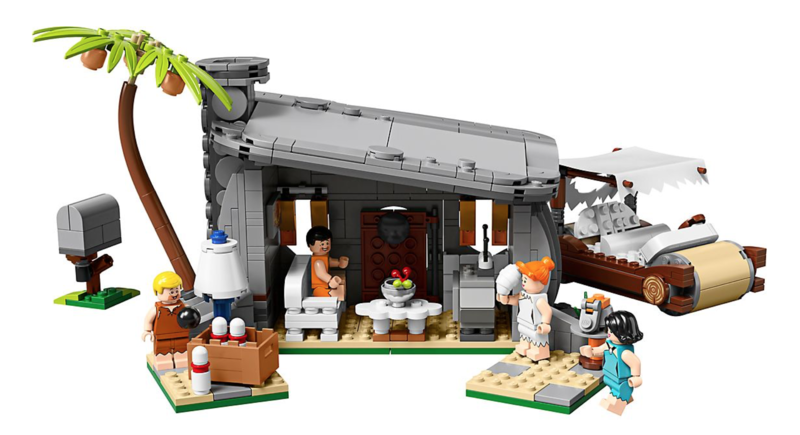 You can come over all Stone Age and experience life in suburban Bedrock with this all-new The Flintstones collectable Lego set! The box contains pieces to create The Flintstones house as well as Fred’s foot-powered car. Brilliant! Scroll down to see iconic scenes including Fred banging on the front door (“Willlmmmaaaaaa!”) and Betty and Wilma in their cute prehistoric outfits. 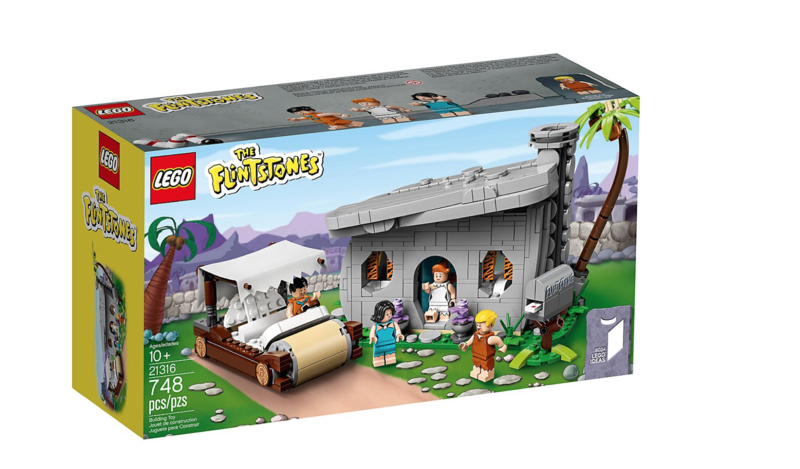 This LEGO® The Flintstones set comes with four cartoon character minifigures: Fred Flintstone, Wilma Flintstone, Barney Rubble and Betty Rubble. 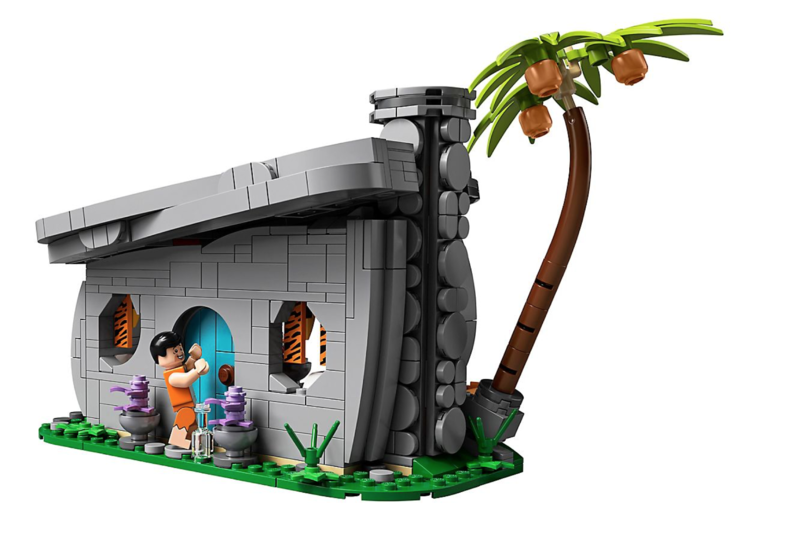 It also contains The Flintstones home which helpfully features a removable roof for easy access and play. The house features a whole host of details and amenities including: a front door that opens, curtains, a cute sofa, a telly with its own aerial, a kitchen sink, telephone, fireplace, a prehistoric painting, a coffee table complete with fruit bowl and fruit, a floor lamp, a crate with a bowling ball and three bowling pins, plus a green garden baseplate with a buildable palm tree, two flower pots, flowers, plants and two milk bottles. Phew! It’s $99.99 and is available now.